Chalupa ala carte or in a meal? Already satisfying on its own, the Chalupa Supreme is available for P99 when ordered a la carte. Pair it with nachos and your favorite soda for a full meal for only P149. 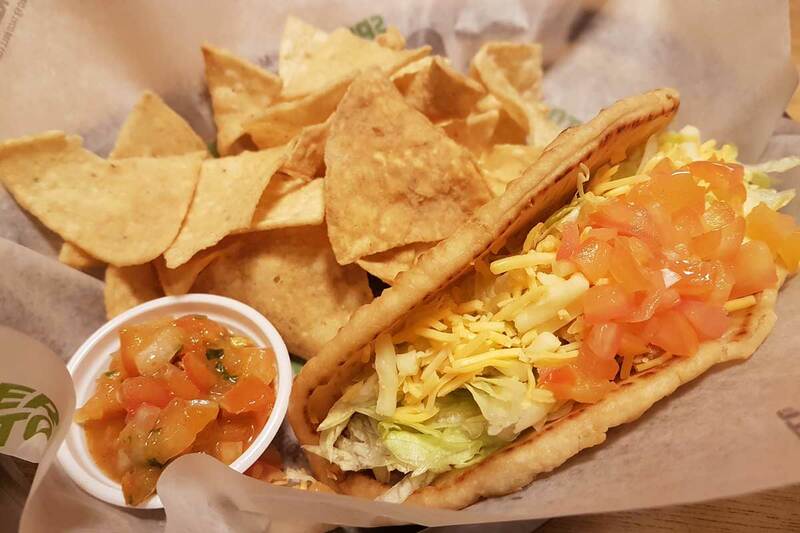 You may be asking … what makes the chalupa so different from a taco then? It certainly looks the same. For starters it is bigger than the average taco and certainly more filling. Second, the “shell” is made of bread, not a taco shell, making it a heavier meal. Think back to the last new offering of Taco Bell, the Gordita Supreme. It’s the same flatbread but this time it is fried and shaped into a taco shell. Tastewise I would say it tastes just like the Gordita. The only real difference is that the bread is fried. I have friends who have tried both the chalupa and the gordita and they have said that they prefer the chalupa. Personally, I would rather have the gordita because I find it easier to eat. I’ve got a quirk, I don’t like messy eating and, trust me, the chalupa is MESSY. So go ahead and #tastethehype today as Taco Bell’s Chalupa Supreme is available for a limited time only. 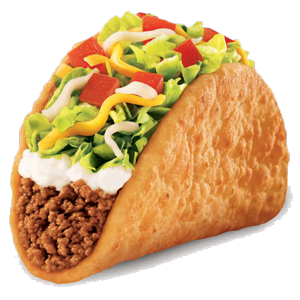 Learn more about Taco Bell’s latest offering, the Chalupa Supreme, and try other delectable treats that you’re sure to love only at Taco Bell! Visit the official website at www.tacobell.com.ph, or check out their official Facebook page at www.facebook.com/tacobellPHL, the lnstagram account @TacoBellPHL, and the hash tag #TacoBellPHL across Facebook and lnstagram. Taco Bell, a subsidiary of Yum! Brands, Inc. (NYSE: YUM), founded over 50 years ago was known for its fun exploration as it ventured a different path in the fast food industry by introducing Crunchy Taco to the United States of America. Today Taco Bell has over 6,500 restaurants world-wide. Millions of customers come to Taco Bell every week for that unique experience no other restaurant can offer. An experience brought to life through Taco Bell’s menu innovation and the smiles of those who create, serve and eat Taco Bell’s delicious food. In the Philippines, Taco Bell began in 2004. Since then the brand has continued to explore the possibilities with its customers. Taco Bell Philippines brought the first Live Mas concept store to Asia with its flagship branch at Gateway Mall, a true testament of the brand’s commitment to give their customers more – in terms of value, quality and dining experience. Currently Taco Bell is located at Gateway Mall, TriNoma and Alabang Town Center. For more information, visit their website at www.tacobell.com.ph. Follow Taco Bell on Facebook (www.facebook.com/ tacobellPHL) and lnstagram (@tacobellphl).